Looking for a Copper Wire Wrapped Western Dee Snaffle Bit which is durable and affordable? You came to the right place. Here at Horse Tack Now we have a nice selection of Western Dee Snaffle Bits for you to choose from. This Horse Snaffle Bit will provide ultimate comfort for your horse. These bits measure 2 1/2'' rings and 11mm in the mouth. The copper in this item also causes salivation for your Horse. 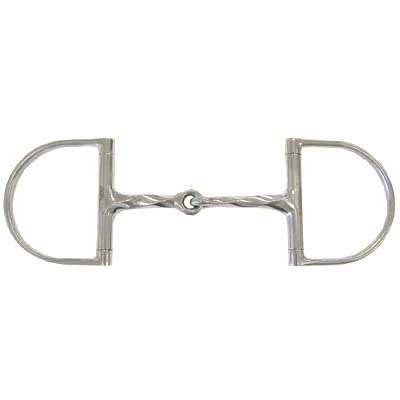 This Western Dee Snaffle Bit is also made of solid stainless steel. We only offer the best Horse Bits for your Horses. As horse enthusiasts ourselves our number one priority is to offer our customers Dee Snaffle Bits which we believe are made to last and available at affordable prices.